This week we have something similar to last week: a training level board. 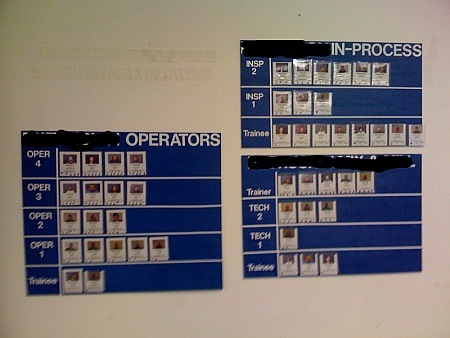 This one has photos of the associates, and as their tickets are punched with additional training they move up the chart. The person that sent us this photo requested that some material be blacked out.